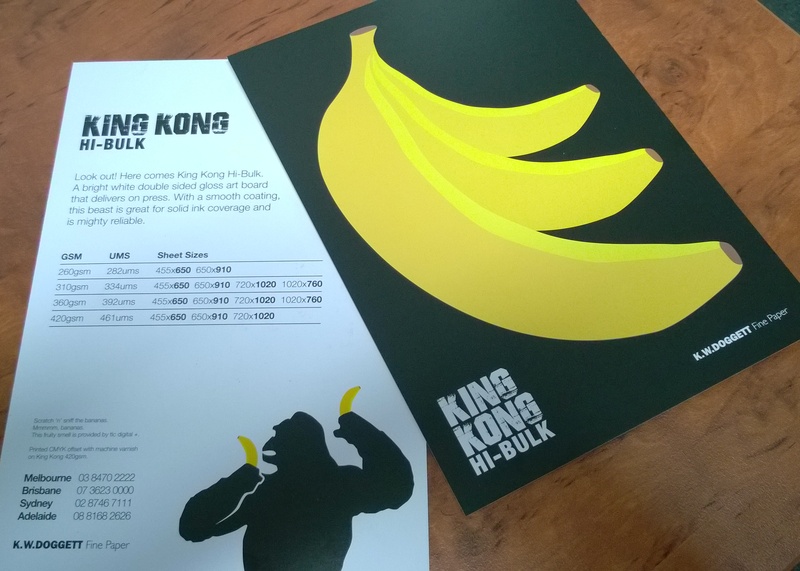 To promote their King Kong Hi-Bulk range, KW Doggett consulted with us on a banana scented scratch and sniff application. The result? Well you are just going to have to request a sample and see and smell for yourself.